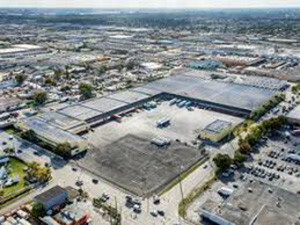 Brennan Investment Group, LLC, a private real estate investment firm that acquires and operates industrial properties on a national basis, announced its acquisition of Hempstead Business Park, a twelve-building, 133,850 square foot light industrial park located at 10612-10616 Hempstead Highway in Houston, Texas. The portfolio is currently 92% occupied. “We are pleased to complete the acquisition of this twelve-building portfolio in the Northwest submarket of Houston. The Houston market has demonstrated strong fundamentals, evidenced by over 1.2 million square feet of positive net absorption year-to-date, and a current vacancy rate of 5.1%,” said Troy MacMane, Southwest Managing Principal at Brennan Investment Group.